The Common Core State Standards (CCSS) and accompanying Smarter Balanced Assessment tests have paved the way for Project Based Learning in California and other states. Now, students are being asked to think deeply and critically, rather than just to "get the right answer" and to choose the correct bubble. Daniel H.Pink talks about the difference between intrinsic and extrinsic motivation is his now famous book, DRiVE. The third drive in all humans, he says, is intrinsic motivation, and external motivators can and do eat away at that precious resource. 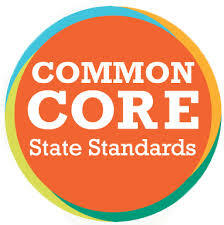 Unfortunately, the CCSS have come under attack recently. Most of this is due to misperceptions, so I would ask you to simply "ask a teacher" about how their life has changed with the implementation of the CCSS in California. How do they feel about not having to "teach to the test" and drop all semblance of reality to practice bubble tests for a month in April? The CCSS allow me, as a teacher, to go deeply into a subject and they give me that crucial time that I need to develop critical thinking, communication, collaboration, and creative skills in my students.